Brand New High Quality Grey Postal Bags Available in 4 sizes with variable quantities, 7" x 9" (17 x 24 cm) 10" x 14" (25 x 35 cm) 12" x 16" (30 x 40 cm) 17" x 26" (43 x 65 cm) High Quality Poly Grey mailing bags, perfect for small or large businesses. Recycled Grey Poly Mailing Bags, perfect for items such as T-shirts. A light grey plastic film with a black interior. 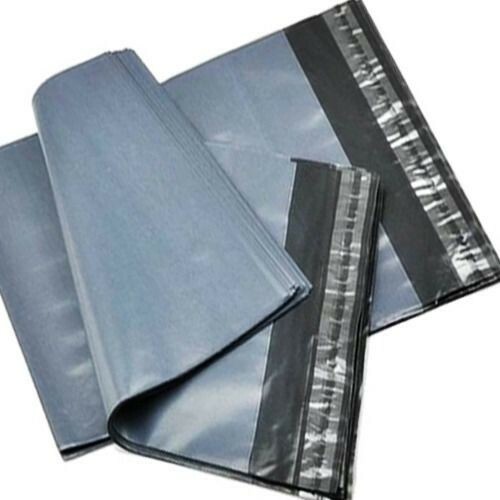 Our Grey Mailing Bags are designed with a much bigger glue strip surface area, in order to attain a greater grip. For custom quantity please contact us!